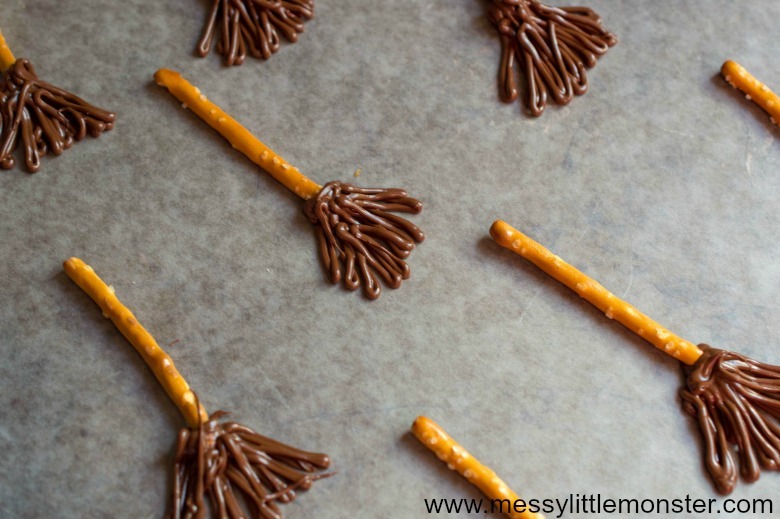 If you are looking for some easy Halloween party food ideas these chocolate witches brooms are perfect! These Halloween snacks can be made in minutes and they will definitely impress the kids! It would also be really fun to make these witches broomsticks as a fun book related activity after reading your toddlers or preschooler the story 'Room on the Broom' by Julia Donaldson. If you want to make lots of Halloween snacks for a party we have loads of easy Halloween party food ideas for you to take a look at. Whether you're planning a Halloween party for preschoolers and toddlers, for older kids, teens or even adults these Halloween snacks are sure to go down well! Ghost lollipops are always popular with the kids, vampire donuts are easy to make and so much fun and mini pumpkin pizzas definitely look the part at a Halloween themed party. We love these healthy Halloween oranges too! 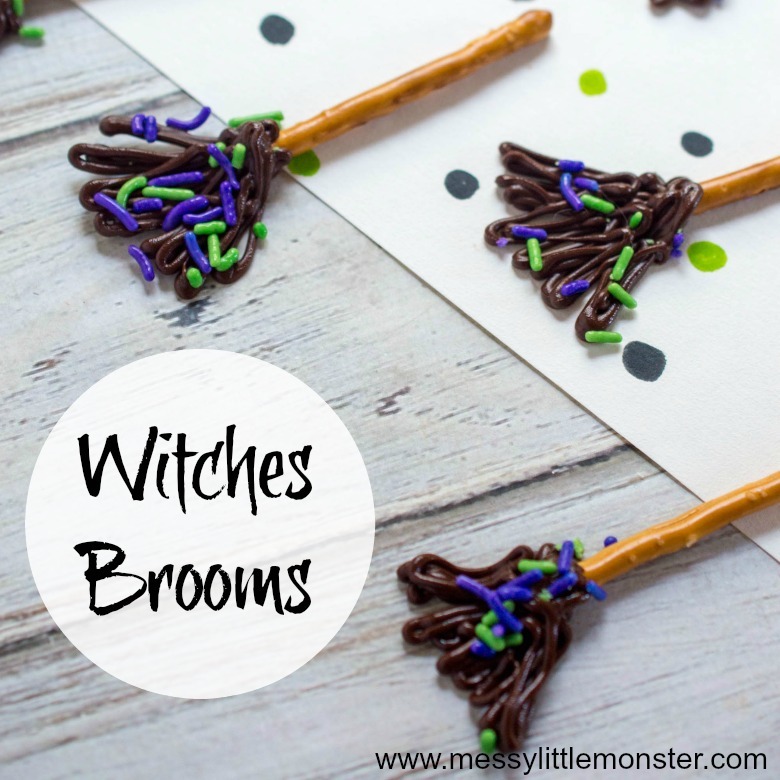 Below we have included step by step instructions for making a set of chocolate witches brooms. These chocolate treats make such cute and easy Halloween snacks and you only need three ingredients! Im sure the kids would love to help to make this easy Halloween party food as well as eat it! 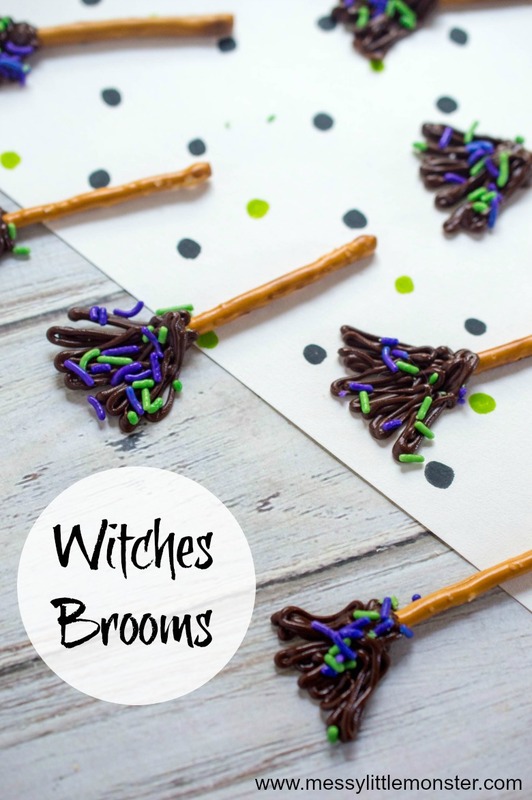 If you have toddlers and preschoolers that enjoy reading illustrated books and then doing related book activities these edible witches brooms would be the perfect book activity to do after reading 'Room on the Broom' by Julia Donaldson. Before starting to make this fun Halloween snack you need to make sure all your supplies are organised and to hand. 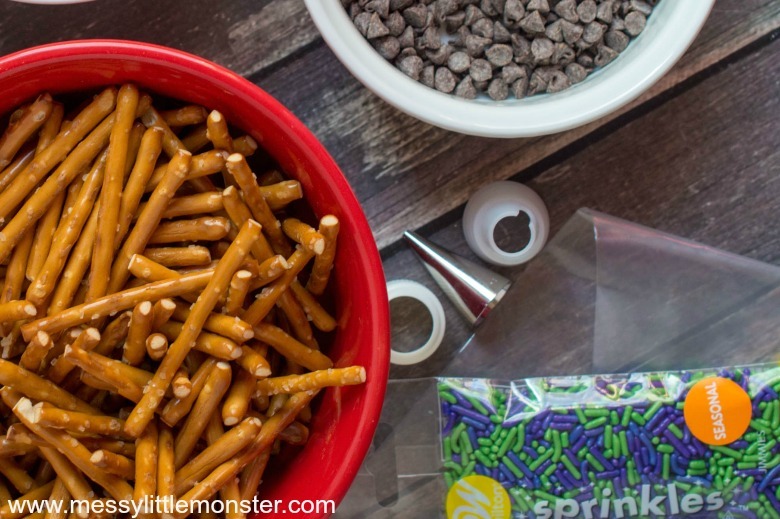 You will need a bowl full of mini pretzel sticks, a bowl of chocolate chips, some sprinkles and a piping bag. You will also need to line a baking sheet with waxed or parchment paper. Make sure your chocolate chips are in a microwave safe bowl and then melt the chocolate chips in the microwave in 20 second increments. Mix the chocolate after each 20 seconds and continue heating the chocolate chips until the chocolate is smooth. 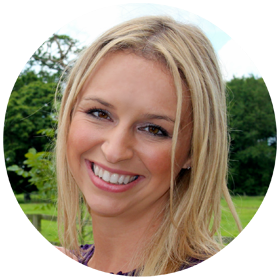 Add the melted chocolate to a piping bag with a writing tip or simply use a plastic sandwich bag with the corner snipped off. Now you have your melted chocolate ready it's time to begin making the witches broomstick. To make sure the chocolate will stick to the brooms, add a small dot of chocolate to the waxed or parchment paper and then add the end of the pretzel stick on top to secure it. Reapeat this step for the number of chocolate broomsticks you would like to make. The next step is where the fun really begins. It's time to make the bristels of the broomstick. Start squeezing the piping bag full of melted chocolate in a back-and-forth motion at the end of each pretzel stick. Take your time and carefully form the bristles of the broom. 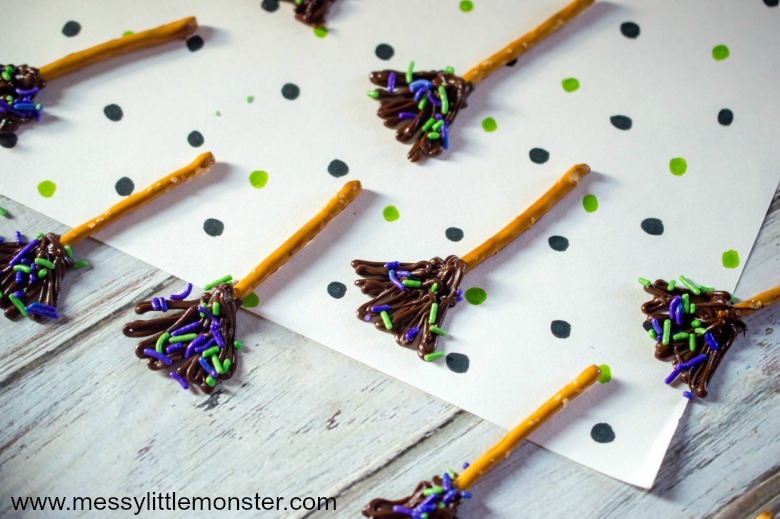 These Halloween snacks are beginning to looks like broomsticks now! 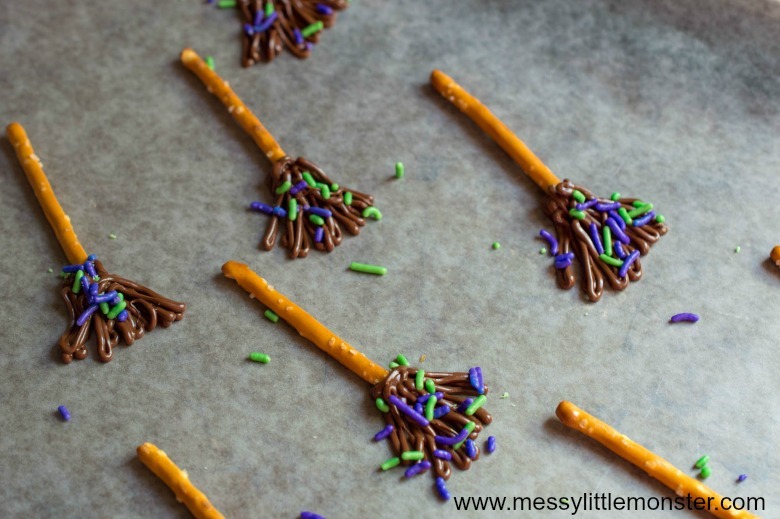 You could leave them as they are, but to make them really look like witches brooms why not add some sprinkles! You need to add the sprinkles while the chocolate is still melted so that the sprinkles stick to the chocolate. That's it, your chocolate witches broomsticks are now complete, you just need to leave them until the chocolate is firm. Placing the chocolate brooms in the freezer for 5 minutes or refrigerator for 15 minutes will help the chocolate to firm up. Your chocolate witches broomsticks are now ready to be served up as a halloween snack or as a special treat. We hope that you enjoy making these easy Halloween snacks. 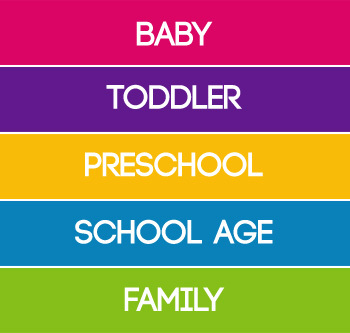 Don't forget to take a look at all our other Halloween activities. 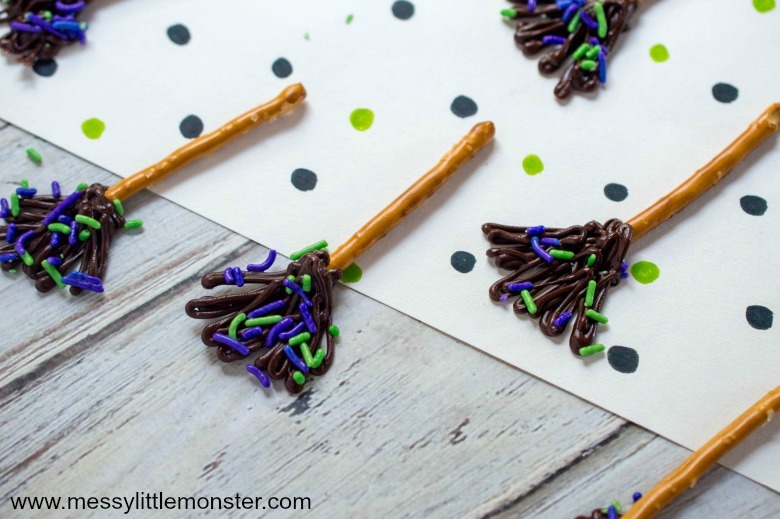 These chocolate witches brooms are just one of many easy Halloween party food ideas for kids that you might want to try.